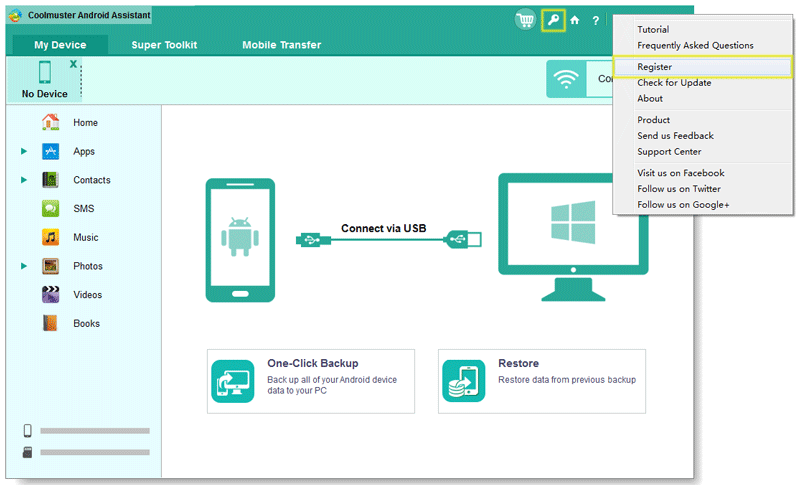 Home>>Support Center>>How to Register My Software on PC/Mac? 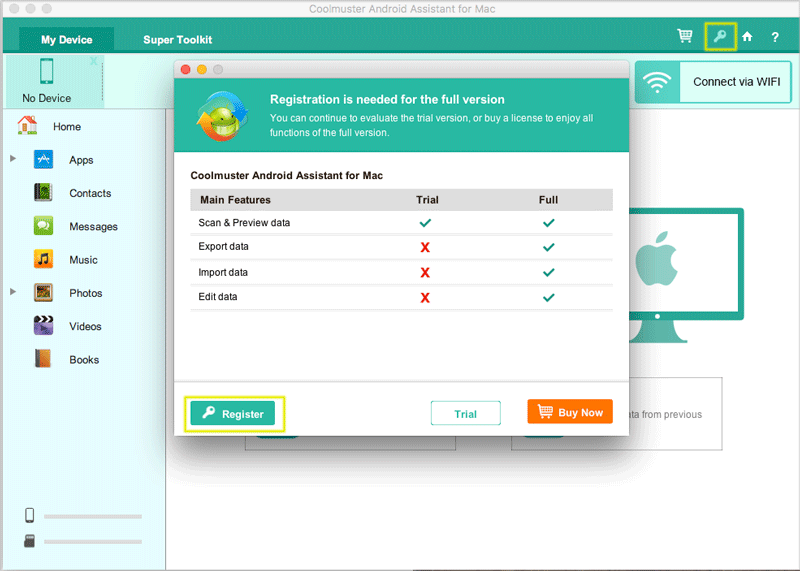 How to Register My Software on PC/Mac? After successfully purchasing the software, you will receive the registration information within a few minutes. Before starting to register the software, please download the software you've purchased from our website and run it. Also please make sure to download the right version on your PC or Mac, then refer to the related guide below to register the software. Part 1. How to Register the Software for Windows Version? Part 2. 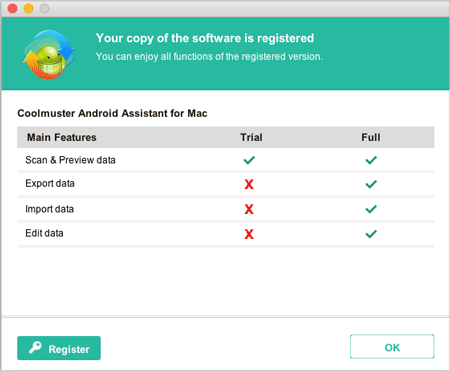 How to Register the Software for Mac Version? (3) Since the email address and license code are letter-sensitive, please COPY and PASTE them, leaving no blank before or after it. Step 1. To get started, please directly click the "Key" icon , or click the "Menu" icon and choose "Register" button from the drop-down options. Step 2. Then you will be prompted that "Registration is needed for the full version." Simply click "Register" button to open the registration dialog box. Step 3. 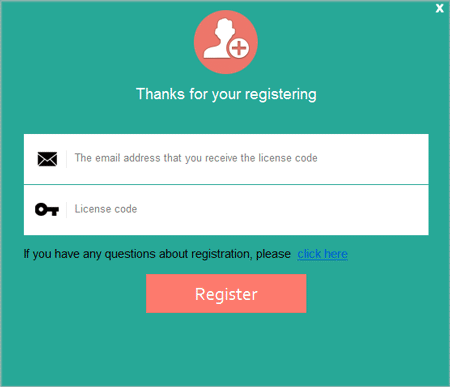 Enter the license email and license code and click "Register" button to complete the registration. Congratulations! 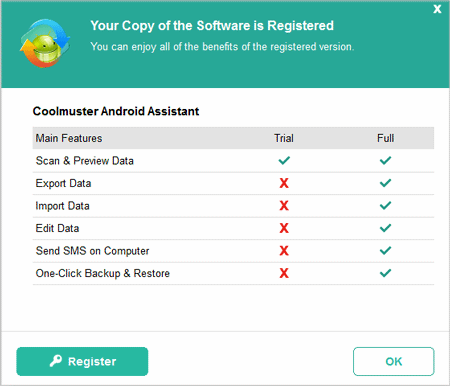 Now you have registered the software successfully, and you can enjoy its full benefits now. Step 1. Please click the "Key" icon at the top, and click "Register" button to enter the register interface. Step 2. 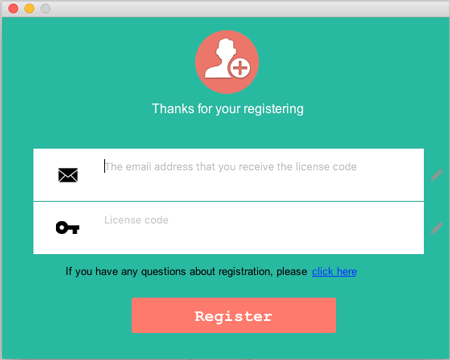 Enter the license code and license email into the blank and click "Register" button. Thus you have completed your registration. Done! 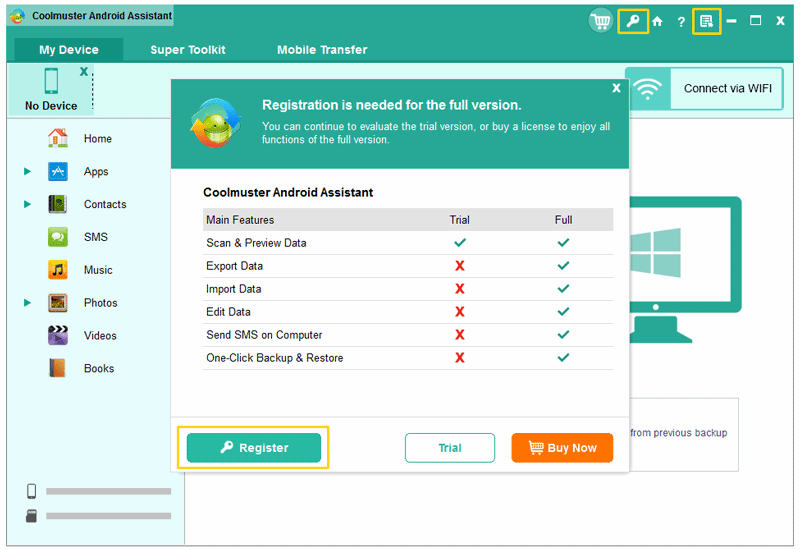 You have registered the software successfully, and you can enjoy its full functions now. How long will I receive the license code after I completed the purchase?